I knew before we went that Petra was going to be incredible. Yet we didn’t even have a full day there when we had a day and a half in Wadi Rum (where there’s only sand)! What’s up with that? 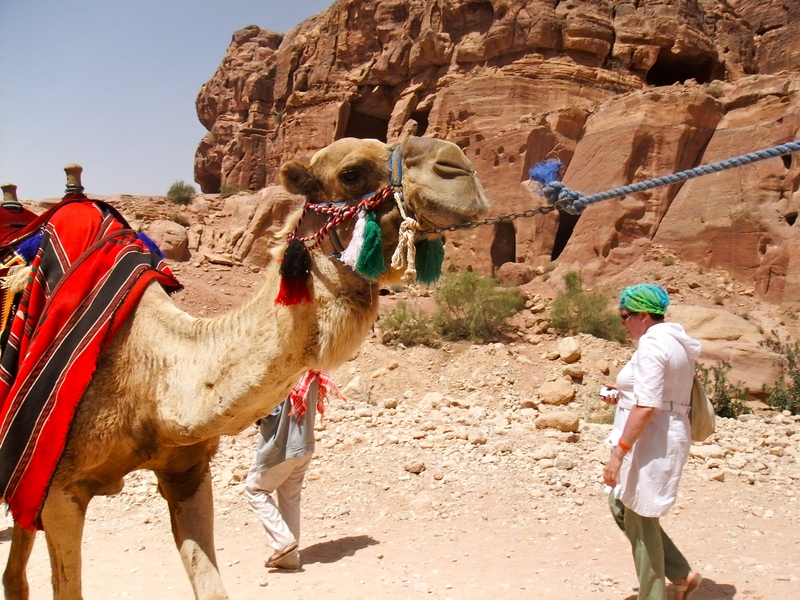 We took a bus from Wadi Rum in the morning and arrived with the rest of the tour groups. There were so many Americans, I didn’t know what to do with myself! It was like when I was in the airport waiting to go to England for spring break. I was freaking out internally because there was so much English being blatantly spoken, not a few words sneaked in guiltily for comprehension’s sake. It’s always a bit weird to hear English someplace where in my mind there is supposed to be only Arabic. It’s even sillier since Petra is a huge tourist spot. And it’s for good reason. Because like I said before, Petra is freaking awesome. Wait, what’s that in the distance? You’re walking along, minding your own business, and then suddenly you glimpse something in the distance, through the rocks. Continuing forward is not an option as everyone has come to halt for pictures. It’s a dramatic moment, closely followed up by the full view of the Treasury when you emerge in the open. I think this was the only place you’re not allowed to go in and touch everything. Just as in Ajloun where we could crawl and climb to our heart’s delight all over the castle, there aren’t so many restrictions on where you go or how you get there. Inside Petra is chaotic with people trying to sell you food or puppies, or camel/donkey/pony rides, other tourists trying to avoid said salesmen, local children trying to guilt you into buying postcards… Petra gets a lot of traffic and there isn’t any way to protect the ruins themselves. The first thing we ended up doing here though was… climb a mountain. Seriously, I’ve climbed more mountains in Jordan than I have ever in my entire life elsewhere. And alas, what no one tells you (and if you’re me don’t ever think about) is that Petra is more sand and mountains along with ancient ruins and fun things. Thousands and thousands of steps to reach the top, which was nice as opposed to a rocky trail. It definitely had me reminiscing of climbing churches though. Even sadder, the view wasn’t worth the climb! Not being a desert person has come back to bite me once again. Another thing about Petra is that after visiting I have no more knowledge of the history than I did before. I learned more by reading Wikipedia than I did onsite, simply because there are so few plaques giving explanations. There were a few scattered about, but as someone who loves history there weren’t nearly enough. I didn’t feel as if I was in a massive museum where I got to learn and explore. 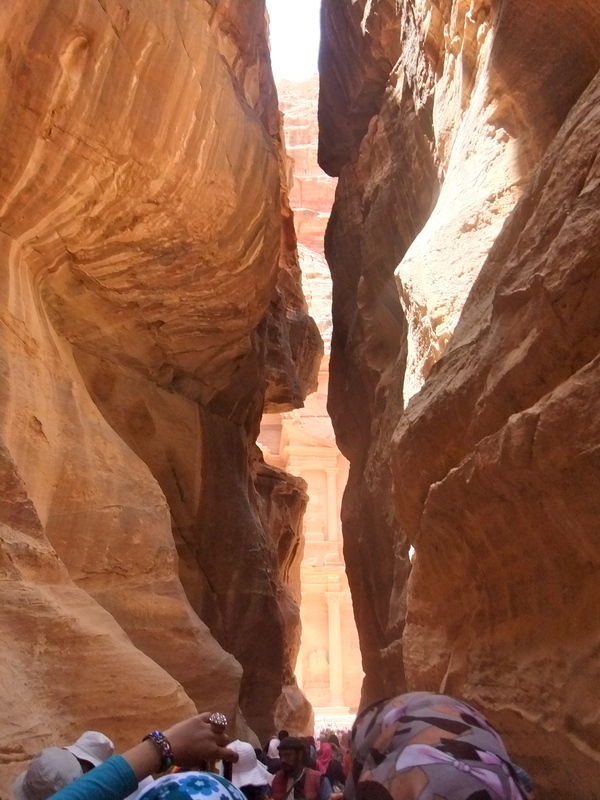 Petra feels more like a mountain amusement park, like a ski resort but with sand and hiking replacing the snow. 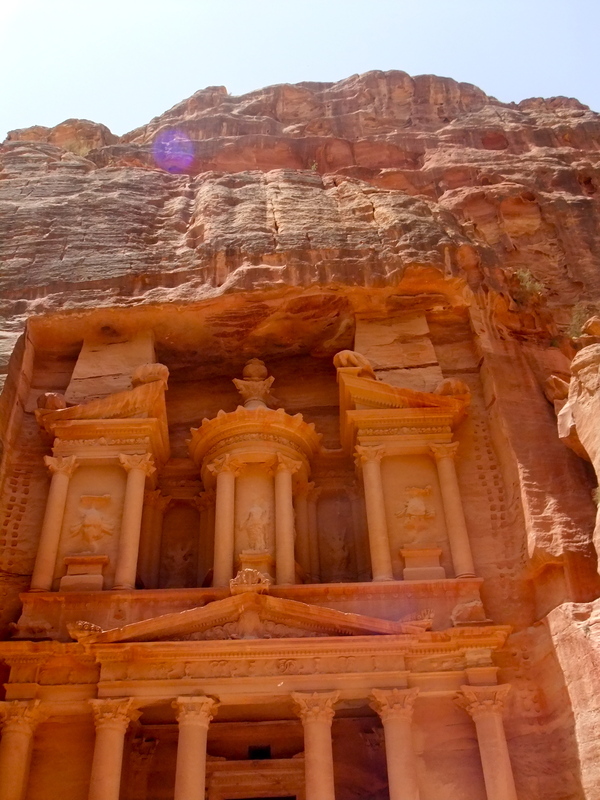 I was a bit disappointed in that because there has been a lot of interesting history at Petra. For instance, Lawrence of Arabia held off Turkish forces there, and the ruins were already a tourist attraction in the Middle Ages. And how Petra was created is still as mysterious to me as how Stonehenge came to be. Except that’s because I haven’t taken their audiotour in a couple years, not because the information just isn’t available when you visit. Them Byzantines were pretty nifty. One place that did have information posted was the Byzantine church, which was excavated rather recently with funding from USAID. 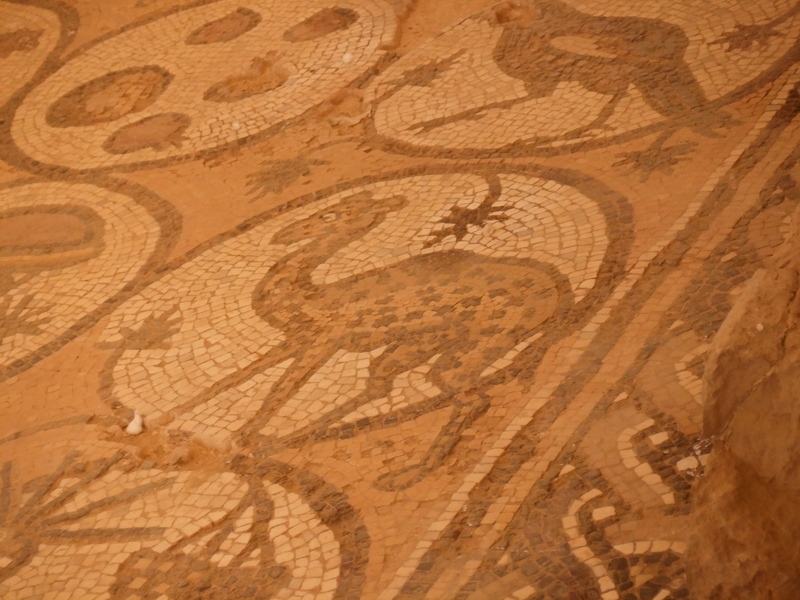 Though destroyed by a fire who knows when, mosaics remain on the floor still relatively intact. The above is their depiction of a giraffe. They had no idea what that funny thing was so they made it like a camel with spots to differentiate it. Pretty cool stuff. We didn’t make it to the Monastery since we had to book it back to the bus, but that means I get to visit again in the future! Preferably with some sort of guide(book) so I don’t end up just wandering and chilling at Petra again. Oh, and remember those ponies from earlier? I totally took one back up the hill when we were tired as opposed to taking one down in the morning when we had energy. He was a superfancy 7-year old stallion and potentially cuter than my other Arab horse love in Ajloun. 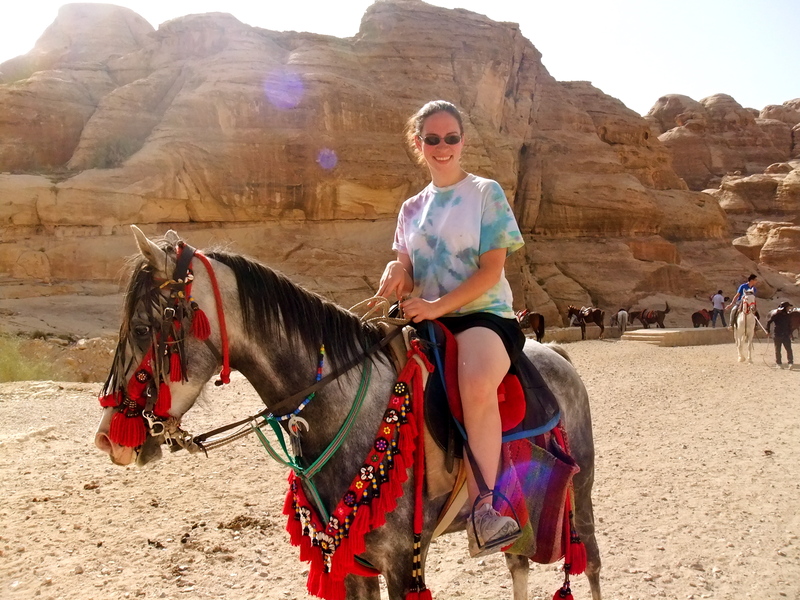 Equestrian team does the Middle East-coming soon?